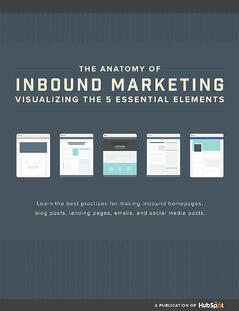 Improve the most important elements of inbound marketing. Are you ready to learn how to optimize your inbound marketing campaigns? Our eBook "The Anatomy of Inbound Marketing" will help you improve the most important elements of your campaigns, including visuals, to help you target any problems.